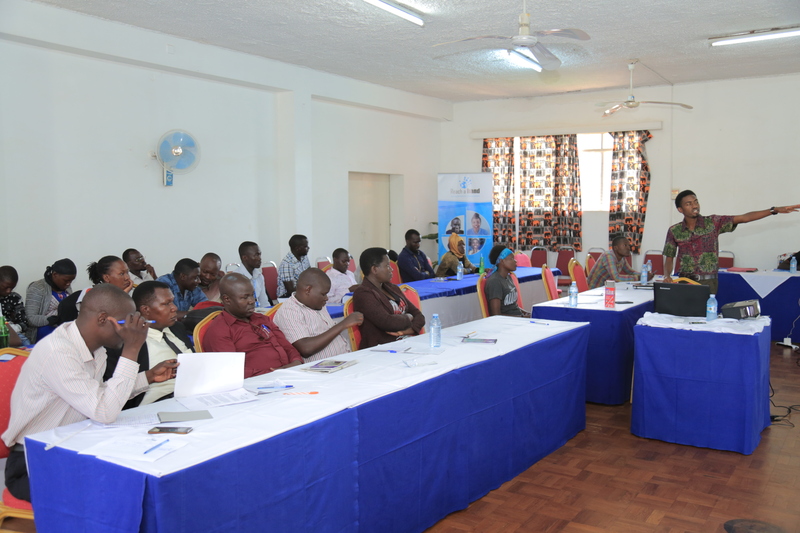 On August 21st, 30 journalists from Busoga sub region attended a media Share101 in Jinja at Crested Crane Hotel. 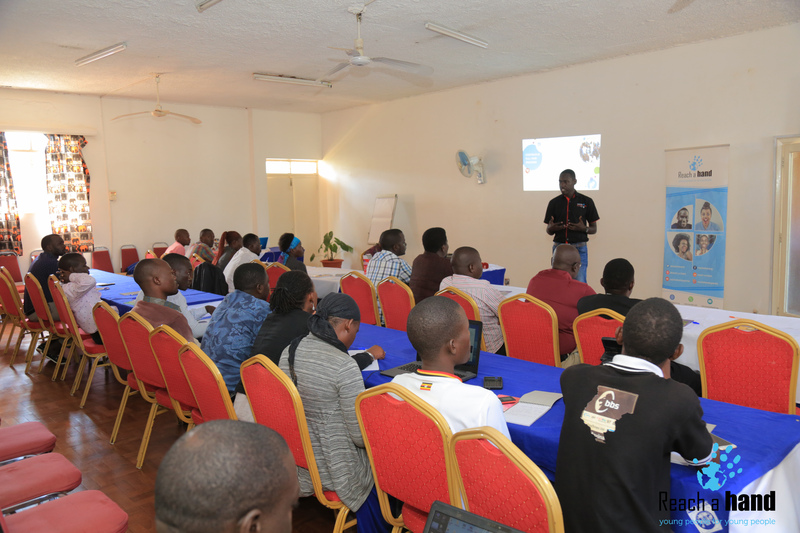 The training focused on equipping them with the knowledge and skills needed to deliver effective reporting and media programming on sexual and reproductive health rights (SRHR) issues in the sub region. The discussion, centered around understanding the key sexual reproductive health and rights faced by young people in the sub region and understand how best to report them focusing on impact journalism and influence of solution based reporting. “By promoting openness and public discussions, the media can help break the culture of silence and level of stigma and discrimination associated with SRHR issues. Also, bringing these issues to the fore will provide information that will positively affect reproductive health policy.” Bakshi mentioned. Bakshi Asuman (standing) while facilitating the dailaoge. Waiswa Batambuze, the Reach A Hand Uganda’s Communications and Advocacy Manager then went ahead to breakdown the different sexual reproductive health and rights issues. Key mention were the new trends in teenage pregnancy which according to the 2016 Uganda Demographic Health Survey, 25% of girls aged 15 to 19 are already mothers or pregnant with their first child. This implies that one out of every four girls aged 15 to 19 is pregnant or has already had a child. In Uganda, most people go to high school when they are 14 or 15. The discussion then switched to understanding impact journalism and reporting. Focus on this session was on how to craft stories that have influence on how to share stories. 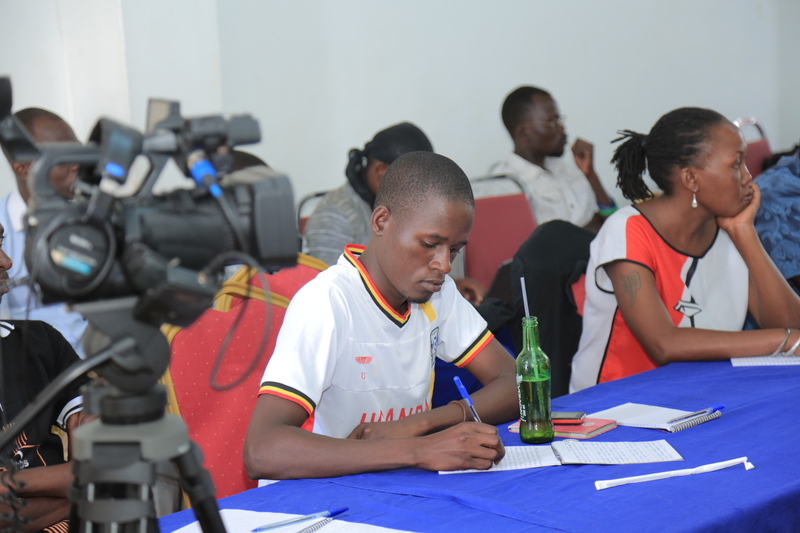 “The idea behind Impact Journalism is to show that the media can report on inspiring solutions to the world’ and Uganda’s sexual reproductive health and rights problems. This view, along with the conviction that quality, solutions-based news is something readers aspire to have more of, is part of a growing movement in the press to feature stories of hope and change.” Bakshi mentioned. When the public learns of real solutions, the results can be tremendous. Readers gain greater understanding of the problems the world faces and are given the means to engage and the hope to believe that they can become change-makers too. The training was conducted under the Get Up Speak Out project supported by Rutgers under the SRHR Alliance where Reach A Uganda is a partner.